100% agreed the product is a gentle daily cleanser that removed dirt and grime with no irritation. 96% said it calmed and soothed their skin. 86% said it gently lifted away impurities without leaving skin feeling tight or dry. 80% said it is one of the gentlest products they have ever used. * Based on clinical studies of 50 individuals. 100% agreed it helped improve skin resiliency and suppleness, and helped skin feel softer and smoother. 96% said it helped their skin feel less irritated. 92% said it is one of the gentlest products they have used. The product improved hydration with no irritation. It alleviated tightness, dryness and discomfort. It made their skin look visibly smoother in texture and tone. It calmed and soothed their skin. 92% agreed it softened and helped replenish moisture to the skin around the eye. 86% agreed it helped restore moisture to the skin around the eyes for an improved, youthful appearance. 86% agreed it helped reduce the appearance of under eye pufﬁness. Be nice to your skin. Gently wash away makeup, excess oil and dirt without irritating or over drying the skin with this extra gentle, sulphate free cleanser, formulated with only the most essential ingredients. Hello hydration! This gentle, ophthalmologist tested eye gel glides on with our cool roller ball applicator for an instantly refreshing feel. Helps reduce the appearance of puffiness and hydrates the eye area for smoother looking skin. Aloe vera, cucumber, licorice, mallow, chamomile and sea mayweed soothe, comfort and moisturise the skin. Japanese green tea contains antioxidants. Contains naturally derived and food grade ingredients. Extra gentle formulas help soothe easily irritated, sensitive skin by providing hydrating relief. 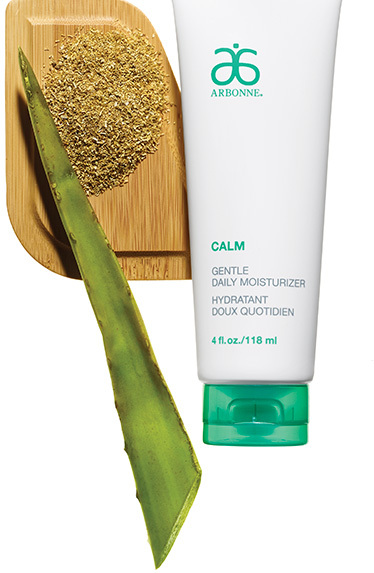 The Calm Collection was specially formulated for those with sensitive skin. Clinically tested, Calm is formulated to help provide hydrating relief from tightness, dryness and discomfort.